We are indebted to Bill Griffiths, editor the Newsletter of the Portishead Small Boat and Sea Angling Club for this story of Portishead Radio. 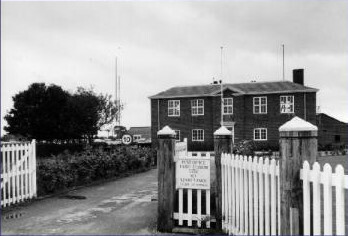 1995 saw the 75th anniversary of long range maritime radio communications in the United Kingdom, which started from humble beginnings in 1920. Broadcasting to ships had been taking place since the early days of radio; the General Post Office (GPO) long wave stations at Poldhu and Caernarvon had been conducting two way traffic with ships within a few hundred miles of the United Kingdom prior to the First World War. However, no long-range system existed until 1919 when the GPO and the Marconi Wireless Telegraph Company agreed to convert a redundant Imperial Wireless Chain receiving station at Devizes in Wiltshire.